Is it safe to have x-rays in pregnancy? So a young one is soon to join your world? The good news has surely spread smiles on the faces of everyone in the family. Also, the merriment is accompanied with numerous doubts and worries about the little one’s safety. One such question in the mother’s mind is whether the X-ray radiation is safe for the baby. X- Ray: what it is? X rays are an invisible form of radiation. They are widely used to detect fractures in bones and teeth by taking images of the human body. Different X-rays contain different amount of radiations. Medical x-rays contain extremely small amount of radiation and hence considered harmless. Nevertheless people associate a number of questions with getting an x-ray during pregnancy. As discussed above, all X-rays contain different amount of radiation. 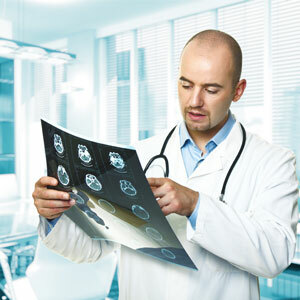 If a medical situation requires X-ray examination, it is advisable to get the test conducted. X- Ray examination of the arms, chest, legs, etc. does not expose the belly to direct radiation. So, there is no chance of any harm to the foetus. However, there is direct exposure to the uterus when the torsos, stomach, lower back, kidneys are examined. A number of researches have been conducted in the past but none has been able to collect sufficient evidence to prove the harm caused by X-Rays to the unborn baby primarily because they are associated with very low levels of radiation. The doses which are normally associated with common diagnostic x-rays can rarely cause any birth defect. The higher the radiation intensity, the more is the risk of the baby being born with abnormalities or illness. The unit which is universally used to measure radiation intensity is rads. Five rads is the limit up to which radiation exposure is considered safe during pregnancy. When a dental X-Ray examination is done, the mother gets 0.01 millirads of radiation. Other doses include: around 300 millirads for abdominal x-ray scan, 60 millirads for chest x-ray and 800 millirads in a CT scan. Although it is potentially risk- free to have X-rays during pregnancy, yet it is advisable to avoid having unnecessary scans during pregnancy. So, the soon-to-be mother must always tell the doctor that she is pregnant so that the doctor takes a wise decision. If an alternative solution is available, it must be opted for. If an x-ray examination has to be done, the woman must not stress out and maintain her peace of mind in knowing that the amount of radiation she will receive is minimal. Ultrasounds are often considered a viable option to X-ray examinations. MRI (Magnetic Resonance Imaging) is also considered safe after the first trimester. Both of these can be used instead of X-rays in most cases. If one is getting cancer therapy before pregnancy; one must consult an oncologist to ascertain the level of radiation one has been exposed to in the past and determine the future course of action in such cases. A normal woman is exposed to about 100 millirads of radiation during the course of pregnancy from natural sources such as sun and earth. X rays are considered harmless for a baby and the mother must not be worried about getting an X-ray examination done. One can always consult their doctor to share any safety concerns.